Every electrician undertaking the design, construction, maintenance, verification and/or inspection and testing of electrical installations must have records demonstrating the accuracy and consistency of test instruments. This is specified by IET (Electrotechnical Assessment Specification EAS 15-362, July 2015). 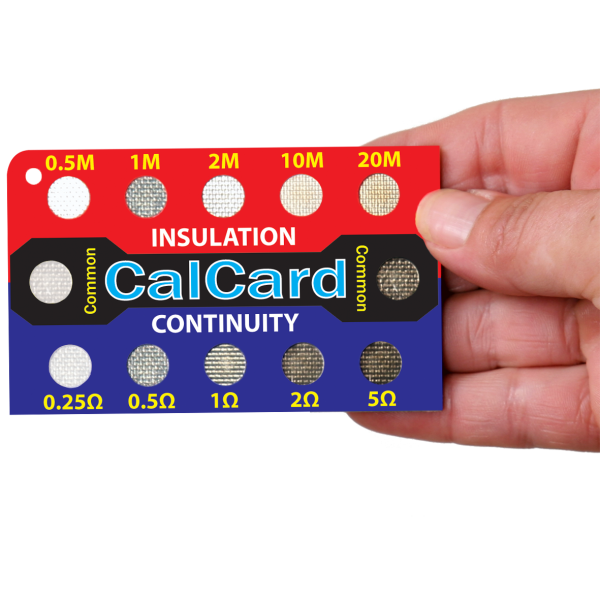 This CalCard meets this criteria enabling the consistency check for the prime measurement of continuity and insulation instrumentation. The CalCard provides the solution. Verifying the serviceability and ongoing accuracy of an instruments ability to make the same truthful resistance readings throughout the time between these formal calibrations period. Quick and easy way to keep your tester in calibration. Saves that yearly expensive cost of calibration. Does the job beautifully and takes up no space. Cheapest i could find online works well every time. Cheapest i could find online works well every time not sure what the taped on section on the back is for. Simply puts your mind at rest. Perfect, does exactly as required for minimal outlay. 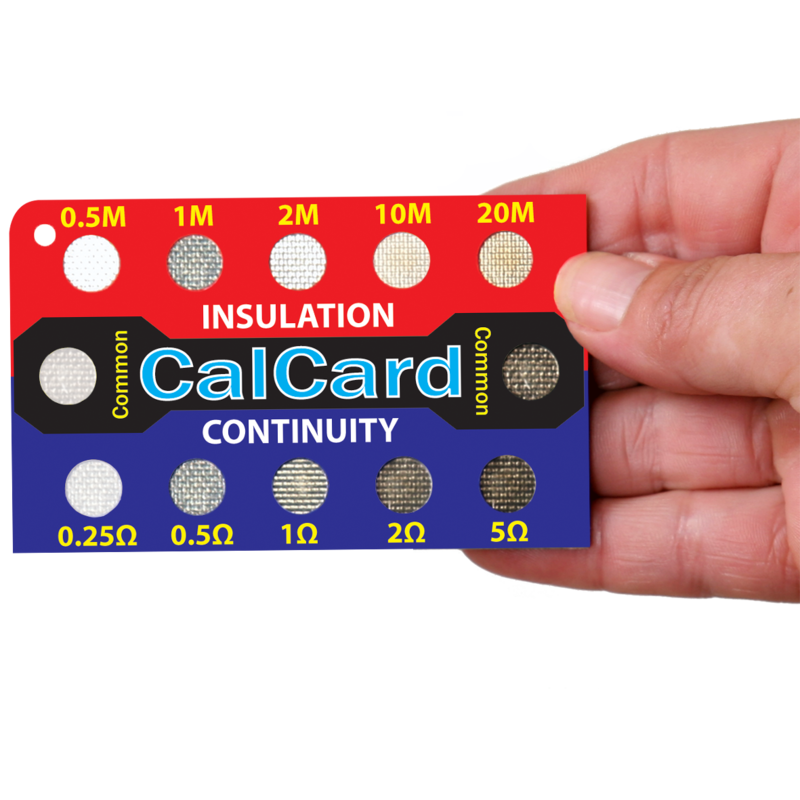 It's A CalCard and you should have one for your multi-function tester. Really useful to check electrical meters before use and after, check of calibration. Order dealt with very quickly. Kept informed when it was due. The product did exactly what it says on the tin. Does as it should and shows me that my mft is as it should be.